It’s a bit hard to get little kids excited for Halloween. They still aren’t sure about celebrating a holiday full of ghosts and goblins. 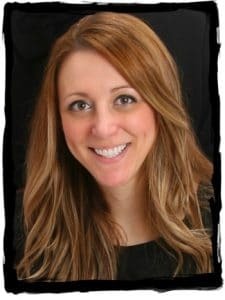 I’ve been trying to find ways to show my little ones that Halloween can be fun. We’ve been reading Halloween books and watching fun, toddler-safe Halloween movies. I like to focus on the fun parts of Halloween and leave the goblins to the older kids 😉 Making fun crafts such as this happy spider, and themed food like Halloween “snackwiches“. 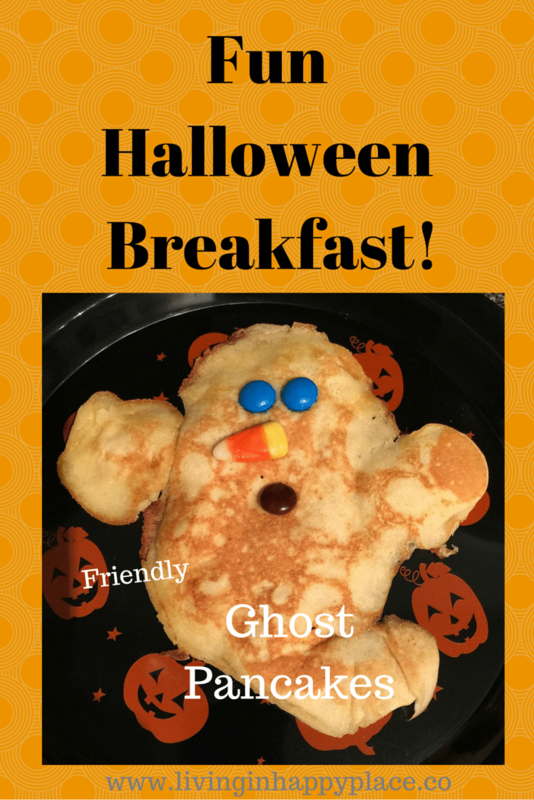 I’m planning ghost pancakes for Halloween breakfast! They are really easy to make (no creativity or chef experience really necessary!) and usually satisfy even the picky eaters in the group. Prepare your usual pancake mix as instructed on the box. Use a condiment bottle (or candy making bottle) to pour the batter in the pan in the shape of a ghost. (You can also use a cookie cutter shape if you have one). Cook the pancake on both sides and remove from pan. While still hot, place M & M chocolates for the eyes and mouth. (Use oven mitts if needed. You could also use chocolate morsels or any other candies for the face). Add the candy corn for the nose and serve on a fun Halloween plate! I just used Mrs. Buttersworth’s buttermilk complete mix (following directions on the box) and poured the batter into the shape of a ghost. M&M’s made the eyes (my girls have blue eyes) and a candy corn made a silly nose. 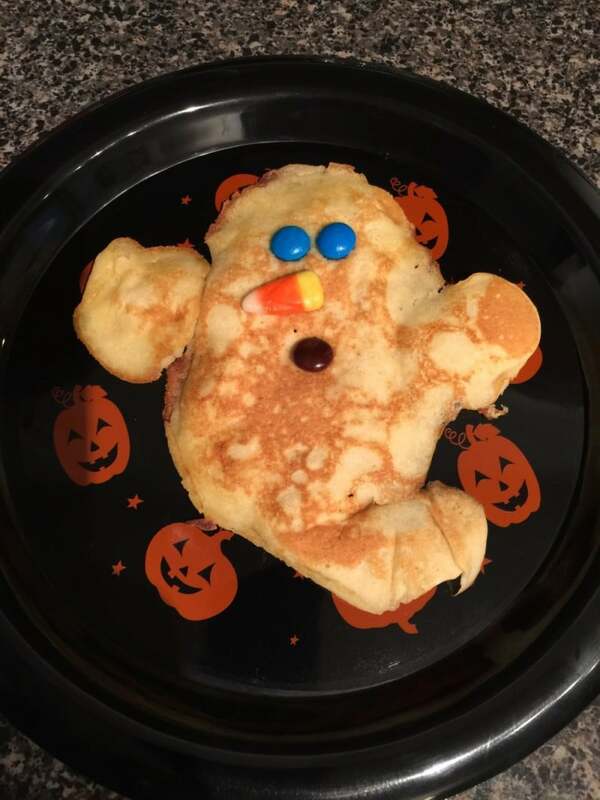 Served on a Halloween plate from the dollar store and we have a simple Happy Halloween breakfast. I used the rest of the batter to make blueberry pancakes because they freeze really well and I can heat them up in 30 seconds for an extra quick breakfast. Easy! Get the kids involved by allowing them to decorate their own pancakes. This lets them feel like they have some control and might help them get excited about Halloween! Now for a fun Halloween Lunch! Do you have a special Halloween meal you serve? Leave a comment and share!